The Chesapeake Bay Wine Classic Foundation (CBWCF) 27th Annual Grand Wine Auction was held in Virginia Beach, Virginia November 9-12th, 2017 and raised $940,000 for charitable causes. Vintner Stephanie Douglas of Aratas Wine, was proud to be named an “Honored Vintner” on stage along with “Vintner of the Year” Amanda Harlan of Mascot at this prestigious event. The charitable effort has distributed over $8 million dollars to its beneficiaries including $110,000 raised this year through Fund-A-Need for the victims of the devastating 2017 north coasts fires. While the Foundation’s primary focus is the health and education of children in need, addition funding is given to dozens of qualified charitable organizations including the Land Trust of Napa Valley, the Napa Vine Trail and the Napa Valley Community Fund. 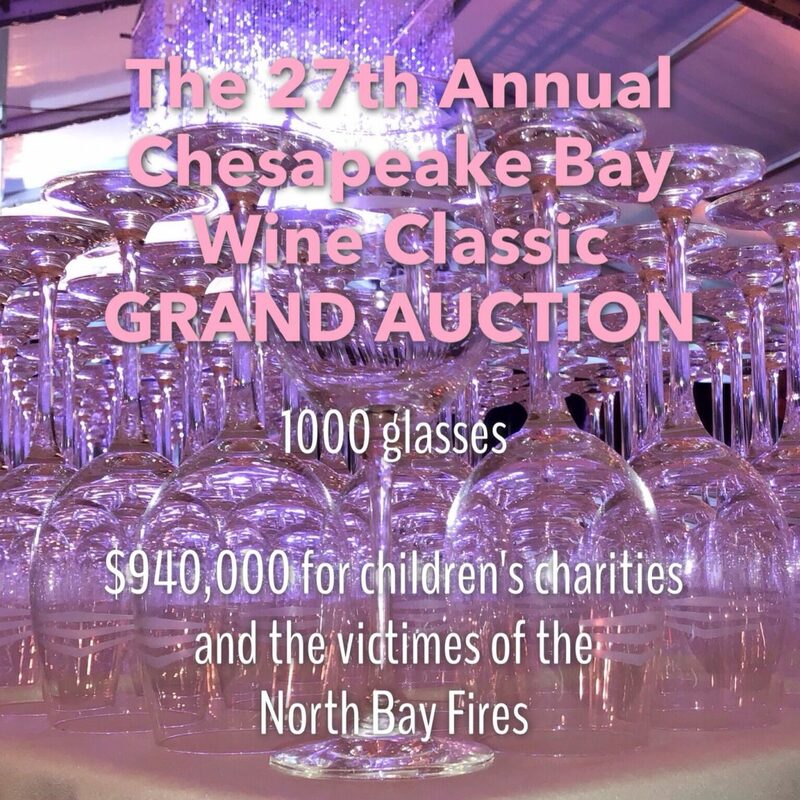 The CBWCF is grateful for the support of the generous vintners from California, Virginia and Maryland who donated wine, special experiences and their time to make this spectacular charitable event happen. The CBWC Foundation is a non-profit, 501(c)3 charitable organization dedicated to the belief that the future strength and prosperity of our region and nation are dependent on the education of our youth. 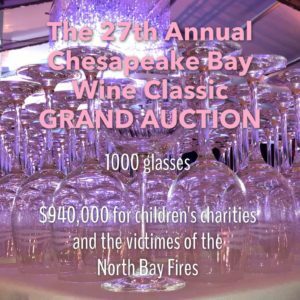 The Foundation stages a variety of spectacular fundraising events, highlighted by the annual Grand Auction every November. Visit www.CBWC.org to learn more.